Unlike many other side backup cameras ours are also a compact size so you will not knock them off your RV in really tight spots. 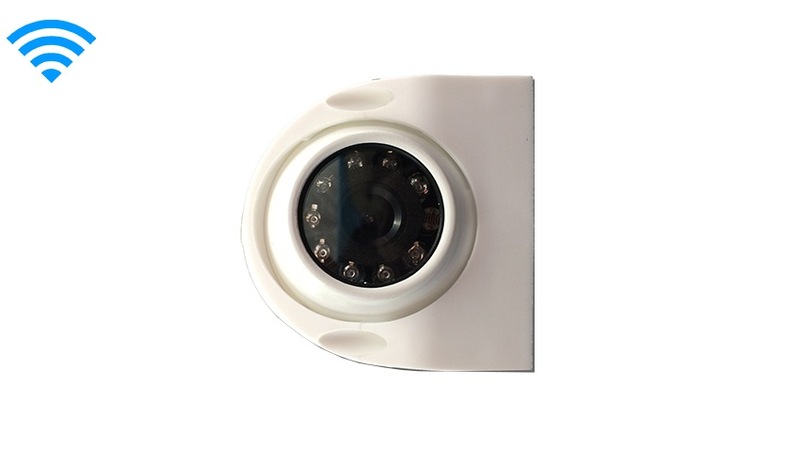 It is also made of a tough metal housing with a movable camera. If you want a side camera with superior night vision and mobility this is the camera for you. You can also buy these in pairs and using our monitor, you can switch between the cameras using the Video 1 and Video 2 button. Another option is to use a quad monitor or quad box to see both images at the same time.